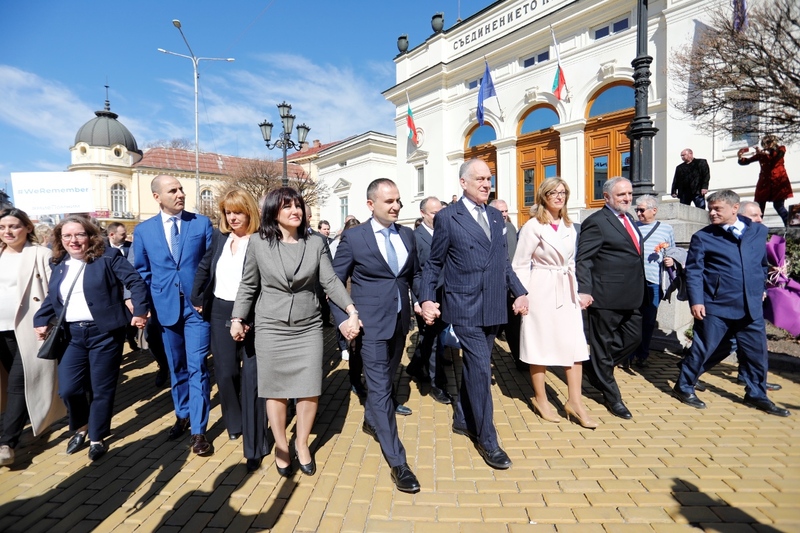 Hundreds of Bulgarians, including political leaders and ordinary people including representatives of the Bulgarian Jewish community, as well as foreign diplomats, turned out on March 10 for a procession entitled “Together for Bulgaria, Together for Europe”, marking the 76th anniversary of the rescue of the Bulgarian Jews from being murdered in the Holocaust. 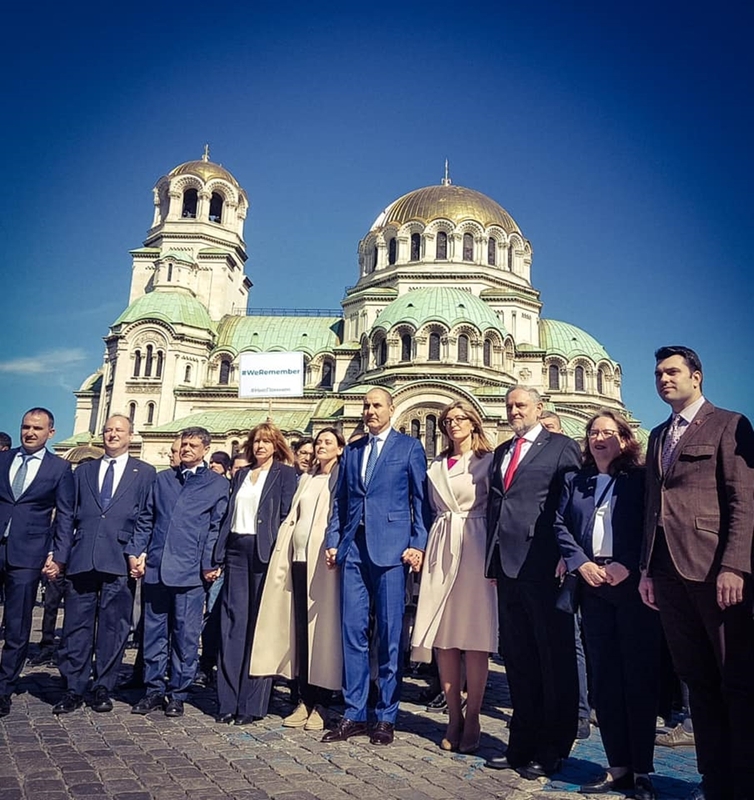 The event, held at the initiative of Sofia municipality and the Organization of the Jews in Bulgaria “Shalom”, proceeded through several points in the centre of the Bulgarian capital city of symbolic significance to the rescue of the Bulgarian Jews. 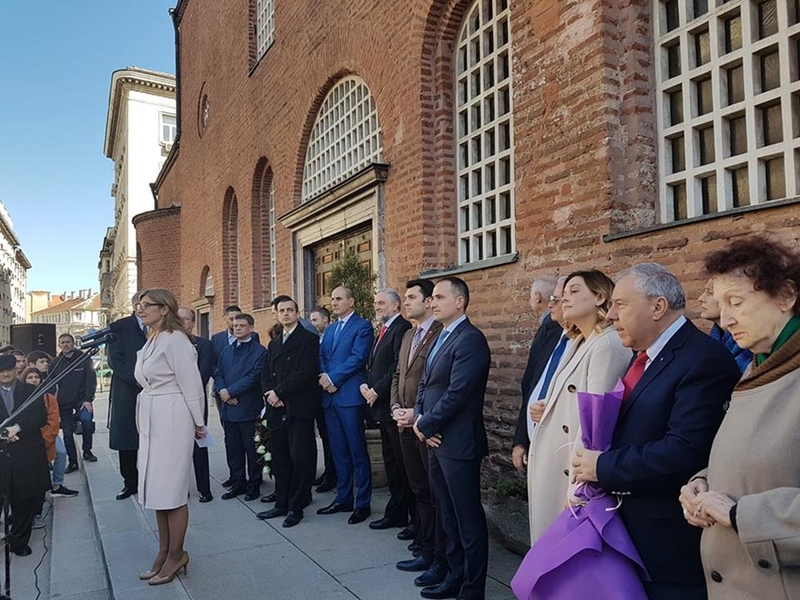 At the starting point, St Sofia church, Deputy Prime Minister and Foreign Minister Ekaterina Zaharieva said that the rescue of close to 50 000 Bulgarian Jews was one of the brightest days in world history, against a background of the darkest times. It set an example that antisemitism, religious hatred and hatred of the different, of which there were manifestations today, could be overcome, Zaharieva said. Photo via the Facebook page of Shalom. 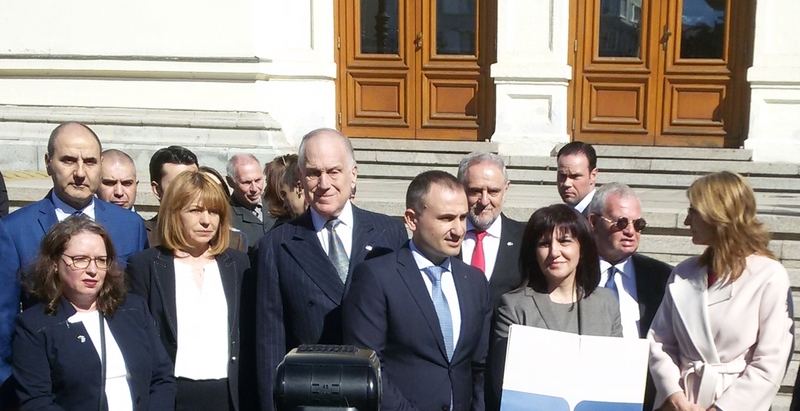 Participants in the event included the Speaker of Parliament, Tsveta Karayancheva, Sofia mayor Yordanka Fandukova, deputy mayor Todor Chobanov, World Jewish Congress President Ronald S Lauder, WJC CEO Robert Singer, Deputy Foreign Minister and National Co-ordinator against Antisemitism Georg Georgiev, the US, Israeli, British and German ambassadors, among other foreign envoys, the head of Parliament’s friendship group with Israel, Konstantin Popov, the head of the GERB parliamentary group, Tsvetan Tsvetanov, and the leader of the Bulgarian Socialist Party in the city council, Kaloyan Pargov, as well as representatives of the Bulgarian Orthodox Church’s governing body, the Holy Synod. 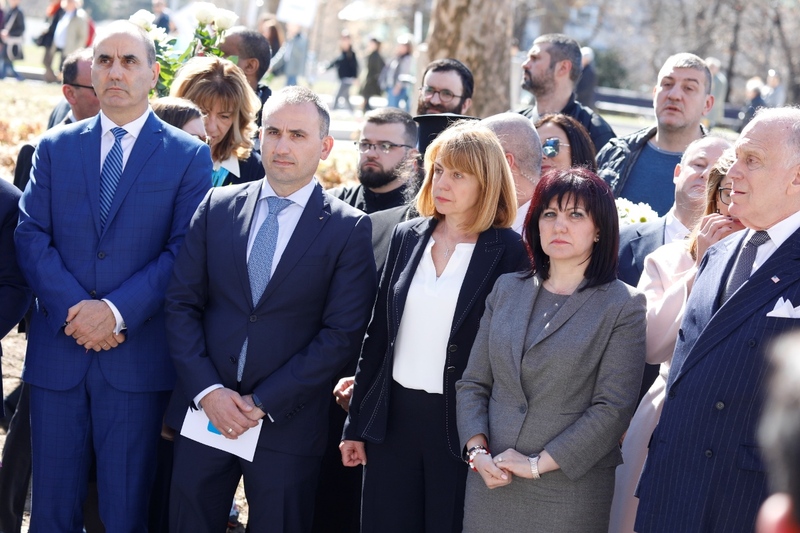 At the monument of gratitude for the rescue of the Bulgarian Jews, Speaker Karayancheva said that she was glad that there so many young people present, “which shows that tolerance and humanity are qualities that we continue to educate in our children”. 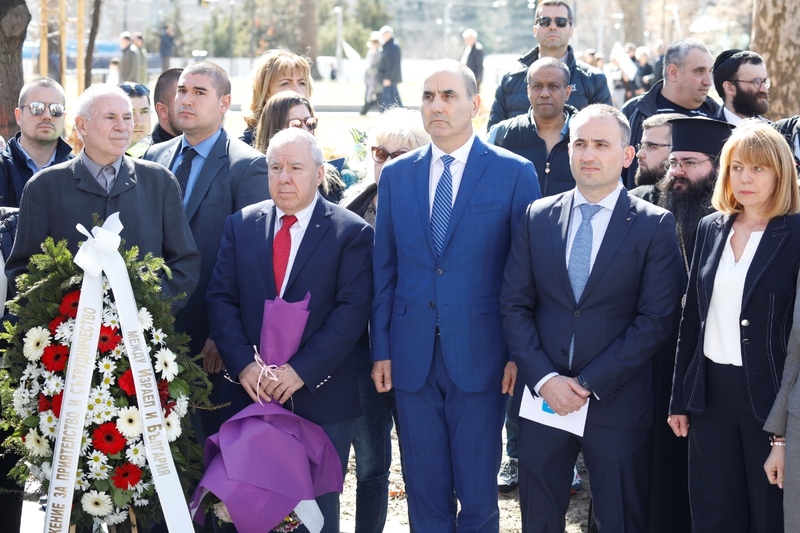 Karayancheva said that March 10 was a day to pay tribute to the victims, but also to make clear that “we condemn antisemitism, racism, conflict on ethnic and religious beliefs”. Photo via the Facebook page of Deputy Foreign Minister Georgiev. 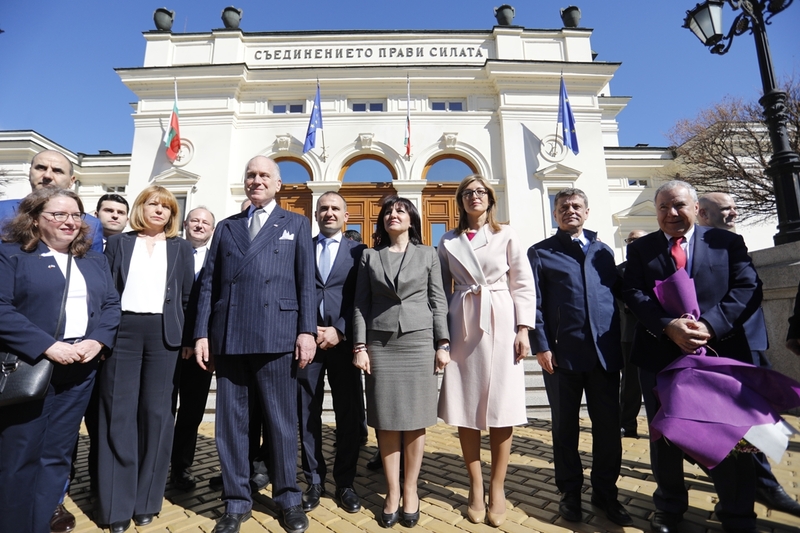 WJC President Lauder said that in 2018, at the time of the 75th anniversary commemorations – which in March took place a few weeks after the annual Lukov March – held in Sofia to honour a pro-Nazi general – he had said “we should have our own march”. Lauder said that 81 years ago, when Kristallnacht saw the destruction of synagogues in Germany and Austria, the world had said nothing. When the Nazis started executing their plan to murder millions of people, the world had said nothing. 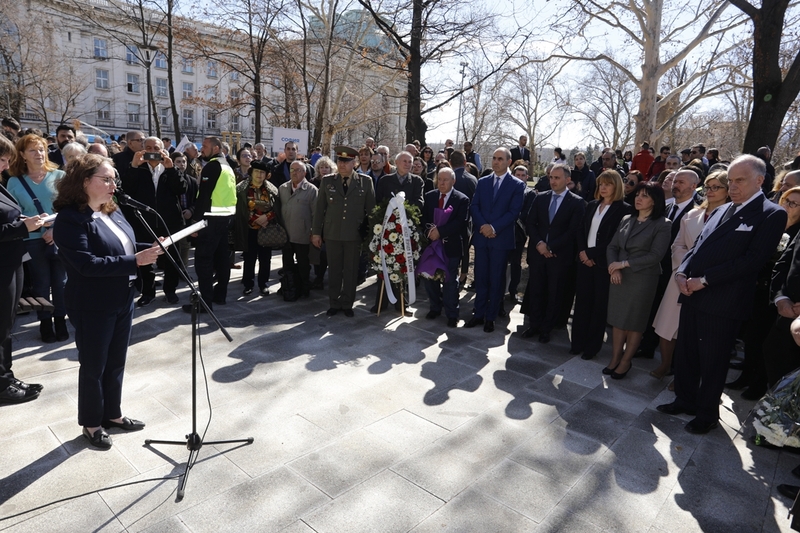 “You have acted as decent, good and noble people,” he said, pointing to the legacy of the Bulgarians who 76 years before had stood up to the Nazis. “Oh, how I wish every country throughout Europe had the moral courage of the Bulgarians,” Lauder said. Every speech marked also that while the Bulgarian Jews had been rescued, 11 343 Jews from the “new lands” in neighbouring countries that at the time were under Bulgarian administration were deported, all but a handful murdered at the Nazi Treblinka death camp within days of their arrival. Israel ambassador Irit Lilian also pointed to the present-day manifestations of antisemitism. Associate Professor Alexander Oscar, President of the Organization of the Jews in Bulgaria “Shalom”, said: “The legacy of honour, dignity, courage, and yes, the direct fight against antisemitism, is not merely a matter for history. It never must be. Today, the fight against antisemitism, against all forms of discrimination, is an immediate and important one. The danger is clear and present, on our streets, on all the streets of Europe, and around the world.